Meghan, Duchess of Sussex, attends the Prince of Wales’ 70th birthday celebration at Buckingham Palace on May 22, 2018, in London. And it don’t stop. Meghan, the Duchess of Sussex, has been bestowed her very own coat of arms, Kensington Palace announced on Friday. In a statement, the palace said that Meghan Markle “took great interest in the design,” which shows California a lot of love. The coat includes golden poppies from California, and the blue background of the shield represents the Pacific Ocean, while the two golden rays across the shield are symbolic of the Golden State. The other flower on the shield is wintersweet, which grows at her new residence, Kensington Palace, the very same flowers that she carried in her bridal bouquet. Other floras include four fleurs-de-lys and two strawberry leaves. The three quills on the right represent communication and the power of words, and the figures on either side of the shield, known as supporters, are a songbird and a golden lion wearing a crown. A Coat of Arms has been created for The Duchess of Sussex. The design of the Arms was agreed and approved by Her Majesty The Queen and Mr. Thomas Woodcock (Garter King of Arms and Senior Herald in England), who is based at the College of Arms in London. The blue background of the shield represents the Pacific Ocean off the California coast, while the two golden rays across the shield are symbolic of the sunshine of The Duchess’s home state. The three quills represent communication and the power of words. Beneath the shield on the grass sits a collection of golden poppies, California’s state flower, and wintersweet, which grows at Kensington Palace. It is customary for Supporters of the shield to be assigned to Members of the Royal Family, and for wives of Members of the Royal Family to have one of their husband’s Supporters and one relating to themselves. 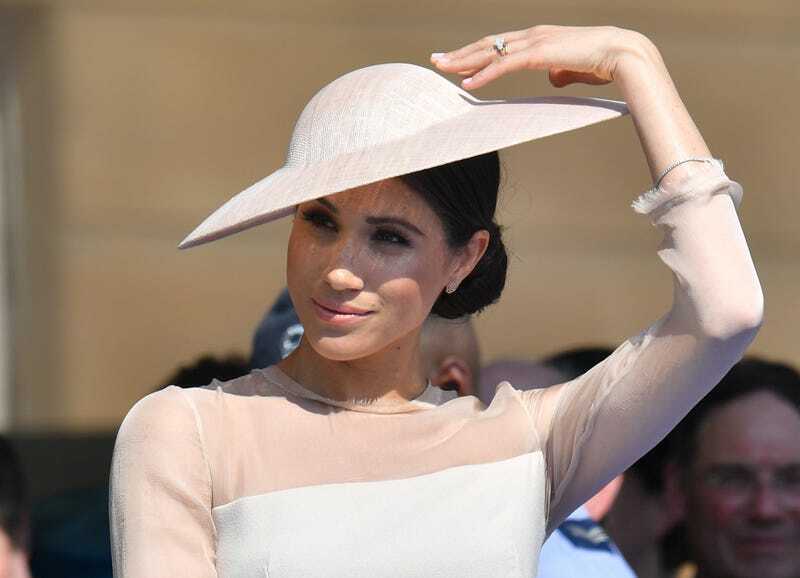 The Supporter relating to The Duchess of Sussex is a songbird with wings elevated as if flying and an open beak, which with the quill represents the power of communication. A Coronet has also been assigned to The Duchess of Sussex. It is the Coronet laid down by a Royal Warrant of 1917 for the sons and daughters of the Heir Apparent. It is composed of two crosses patée, four fleurs-de-lys and two strawberry leaves. The arms of a married woman are shown with those of her husband and the technical term is that they are impaled, meaning placed side by side in the same shield. Mr. Thomas Woodcock, Garter King of Arms said: “The Duchess of Sussex took a great interest in the design. Good heraldic design is nearly always simple and the Arms of The Duchess of Sussex stand well beside the historic beauty of the quartered British Royal Arms. Heraldry as a means of identification has flourished in Europe for almost nine hundred years and is associated with both individual people and great corporate bodies such as Cities, Universities and for instance the Livery Companies in the City of London. Like everything else about the former Ms. Markle, her coat of arms is both simple and elegant.